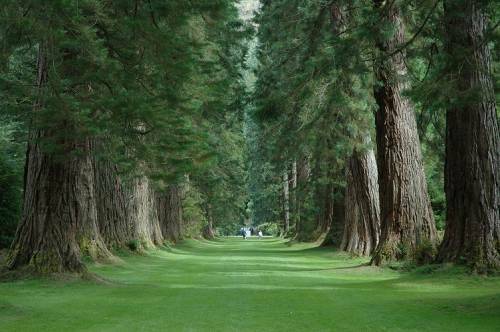 Benmore with its magnificent mountainside setting is a joy to behold. 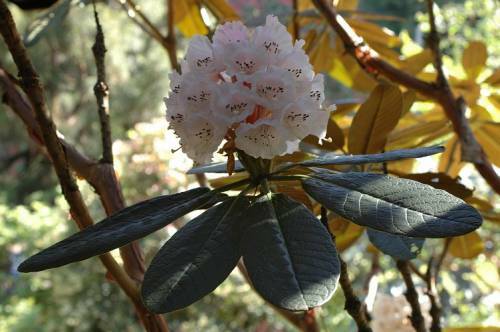 Its 49 Hectares/120 acres boast a world-famous collection of flowering trees and shrubs including over 300 species of rhododendron and over one third of the world’s hardy conifer species plus fine collections from North and South America, the Orient and the Himalaya. 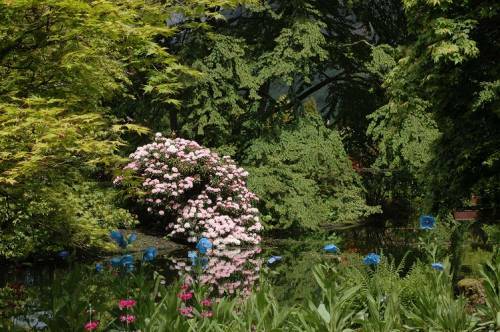 The Garden is glorious throughout the seasons, from the vibrant blooms of rhododendrons and azaleas in early spring, striking Eucryphias of late summer and breathtaking displays of rich autumn fruit and foliage. 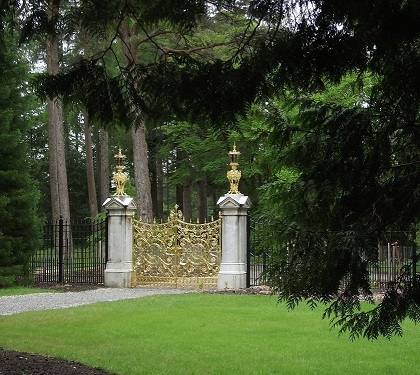 Seven miles of trails throughout the garden lead to beautiful locations such as the magnificently restored Victorian fernery with over 70 species of fern, the newly renovated Golden Gates. Geographic plantings from Bhutan with its oak pavilion, the Chilean Viewpoint Refuge situated in the Monkey Puzzle forest of Benmore , the Japanese Valley and Tasmanian Ridge to a dramatic viewpoint at 140 meters (450 feet) overlooking the surrounding mountains and Holy Loch. Discounts available for groups of 11 or more providing payment is by a single transaction. Tours – Walking Tours take place on Tuesdays & Sundays at 2 pm. 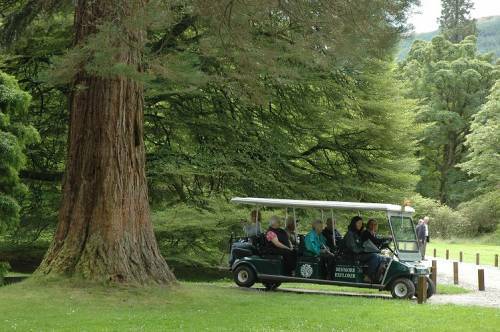 The Benmore Explorer provides assisted access around the Garden on Wednesdays and Thursdays at 2 pm. 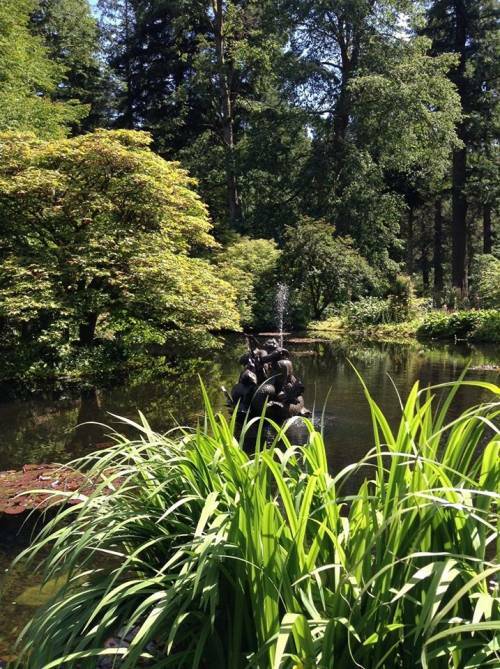 Getting there: Benmore Botanic Garden is on the A815, 7 miles north of Dunoon on the Cowal Peninsula. Facilities Available: Wheelchair access in part/with assistance, Toilets, Cafe and Shop.